Many users are experiencing issues with their Wi-Fi connection on their devices after upgrading to the OS X Mavericks. The issue ranges from not being able to connect to the network after waking up the device from sleep mode to intermittently being disconnecting from the network to not even being able to connect. I have gathered the most common workarounds/fixes for this issue. 2. Turn on the computer and immediately hold Option, Command, ‘R’, and ‘P’ keys simultaneously until you hear the start up sound for the second time. The second start up sound indicates that the parameter random access memory (PRAM) has been reset. 1. Power off computer and keep it plugged in to the power source. 2. Hold the Shift, Control, Option, and Power keys simultaneously for 2 seconds and release. The device should not power on. 3. Afterwards, power on the computer. 1. Power off and unplug the computer. 2. Keep the computer unplugged for 30 seconds. 3. Afterwards, plug the computer back in and wait 30 seconds before powering on. 1. 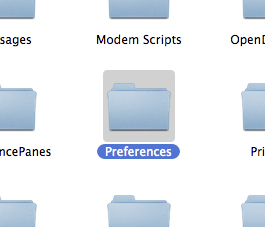 In Finder, hit the Command, Shift, and ‘C’ keys simultaneously to open on the Computer folder. 1. 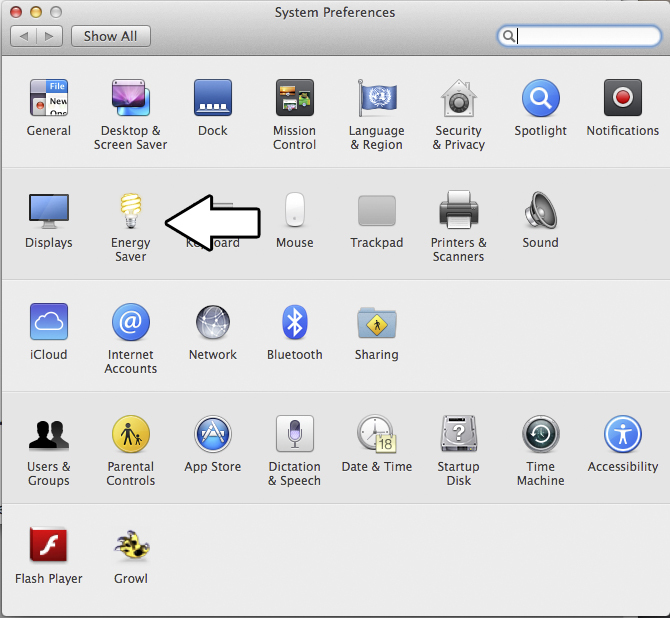 On the Desktop, click on the Bluetooth symbol on the top task bar. 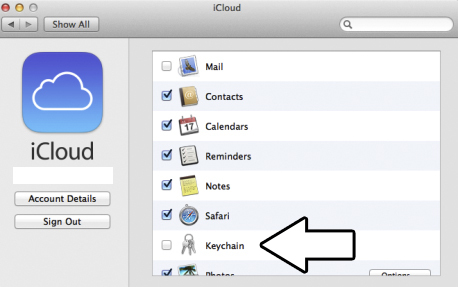 Many users have reported success with this workaround, unfortunately it disables the bluetooth feature which inhibits users from using their magic mouse or Apple keyboard. Your tips have worked very well… that was the most annoying trouble with Mavericks I had. Thanks a lot! 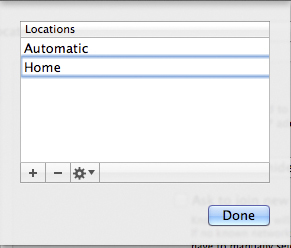 For me, I found that simply deleting the whole “Location” preset in the System Preferences>Network tab and starting from scratch instantly solved the problem. Deleting the system configuration folder worked for me. I tried the PRAM and SMC tips first and they didn’t help. So relieved to finally be done with that silly exclamation point. Deleting config folder and uninstalling an old mcafee driver I thought I had removed long before mavericks update did it for me. My money is on the config folder though. You have kept a grown man from crying. I can’t tell you the number of manipulations that I have tried and as a non-initiated person, I have spent MANY hours just getting to you. WOW, for now, the last 10 minutes i’ve had a steady connection!! ps.. Setting the Order for service was the thing that workes for me! It worked!!! Thank you so much! set service order worked for me! Thanks much for posting this! Hard to articulate my thanks to you. No words, really. I worked through all steps, up to and including turning off bluetooth, and that did the trick. Thank you so much!!! I did everything except the keychain disable, and the PRAM reset. I did the SMC reset last, and once I did, my internet worked. I spent over three hours with my company IT guy, with no results. 10 mins following your steps worked. Wow — you’re awesome. Setting the Order for service worked for me. I also changed the “Wake for network access” first but it didn’t change anything. So I’m not certain if in combination they are working or if the Order for Service was simply the answer. Set service order worked for me. Thank you very much. It looks like my network is stable again after the PRAM Reset. THANK YOU!!!! This has been one of the singularly most frustrating Mac experiences I have had and NO ONE has been able to fix it until now. Many, many thanks for your generous posting and ingenuity! This very common bug, the “fonts won’t install” bug, the removal of “save as” function from text edit, the annoying ‘open’ dialogue box when opening text edit instead of just opening a new text file, and a liteney of other bugs and complaints. From what I have read and experienced, this is the worst Apple Operating system yet. Cudos to you sir for helping these people to fix what Apple has broken, but I really thing it should be Apple fixing these bugs, and preferable before they release these operating systems. Thank you so much! What an annoying problem that was. None of these steps worked for me. I changed my airport express for a 2T Time Machine. The networks works fine for all computers in my home except for my MacBook Pro with OS X Maverick. It freezes when I connect the wifi. I’ve formatted and reinstalled the Maverick but still freezes when I turn wifi on. Thanks for the tips. Tried them all. It works ok for a day or so but reverts back to the way it was. I have an ethernet connection and it takes about a minute or so to reconnect after a wake. I think it is something to do with the lease renewal between my iMAC and router (Asus RT-N66U) as my previous Thomson one didn’t suffer from this. I have also bought a new iMac since and the same happens. Pain in the neck really. Wondering if a static IP from ISP will make a difference??? Thank you so much. Set Service Order solved it. Thank you so much!! Been looking for a fix for 2 days and yours finally worked. Thanks! 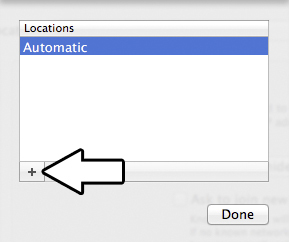 This solved a very annoying problem for me on my 2013 Retina Macbook Pro running Mavericks. I just followed the steps outlined in the “Disable Wake for Network Access” option and so far haven’t seen any Wi-Fi issues after waking the machine from sleep. Thanks, very helpful. Seems to have fixed the problem. My mac book pri fell and made a beep noise, now is having booting up problem. It showed the apple logo, loaded but then right back to an apple logo and the cursor show and stay there, how can I fix this,? Just when I thought of reformatting my laptop; this solution came. Thanks so much bro. Thanks so much- resetting SMC solved my connection issues. 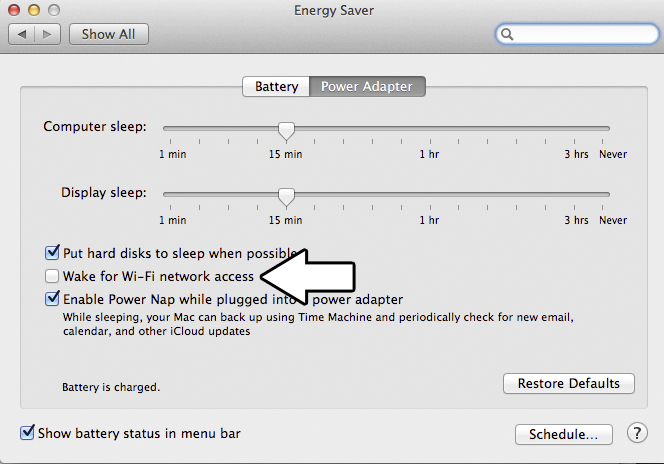 And I didn’t have to remove my Powerbook’s battery to do it! Thanks for saving my bacon. Tried resetting PRAM, SMC, reordered WiFi which didn’t work. Deleting SystemConfiguration folder worked MacBook Pro mid-2010 running 10.9.4. Many thanks for sharing a solution that worked when no other sites did. You’re a hero in my book. what worked for me was to turn both mac firewall and TCPBlock off. PRAM reset worked for me…thanks! I used the ‘Set the Service Order’ fix on both my new MacBook air and MacBook Pro and it worked immediately! Thanks so much…this has been driving me crazy! Thank you! I was pulling my hair out. Deleting the config folder did the trick!!! You have a lot of Good Karma headed your way!!! Thank you for saving my marriage. Worked like a charm! And all I had to do was reset the PRAM. Couldn’t have been easier, especially after I had to restore my operating system. (I’m not going to tell you which stupid operation of mine made that necessary.) Anyway, all’s well that ends well…and lo and behold! I pressed the right buttons, and suddenly everything was working again. Much appreciated! 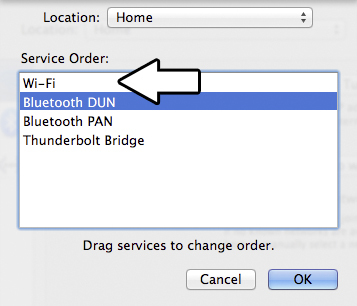 Very detailed steps to fix wifi issues with mavericks. thanks a lot for the help (Y). I started experiencing problems just a few days ago. WiFi drops and i can’t get it started again. I cant find any networks or turn it off/on, so all i can do is restart the computer. It happens more and more often and I tried all the above steps and some things mentioned in the comments. Last thing I tried was deleting Systemconfig folder and its working right now, but I have a feeling it won’t last for long…. Does anyone have any more tips on what to do??? 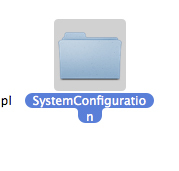 I have a MB Pro mid 2010, on Mavericks 10.9.5…. PLEASE!!!!! AMAZING! Everything beyond reset PRAM was new to me, a non-technical but ongoing mac user since the early 90’s. PRAM RESET MADE IT WORK JUST FINE. © 2019 How-To Apple. All rights reserved.